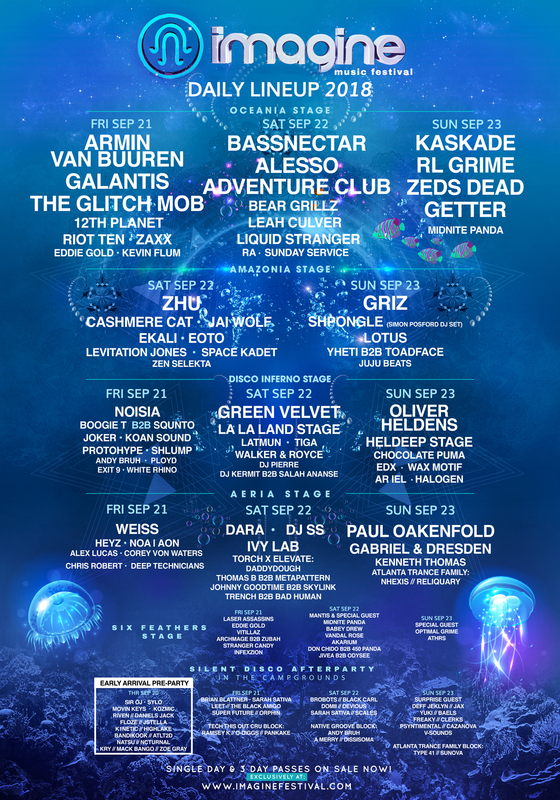 Prepare yourselves because there's less than two weeks left until electronic music lovers take over the Atlanta Motor Speedway for Imagine Music Festival. More so, this is the festival’s fifth anniversary so it is bound to be an absolute rager. Boasting a stacked lineup of over 100 artists this eclectic bill is sure to appease literally any music aficionado who has a taste for the electronic side. Each phase of Imagine Festival 2018 lineup have not fallen short of greatness with huge names such as Bassnectar, Armin van Buuren, GRiZ, The Glitch Mob, Green Velvet, Liquid Stranger, RL Grime, Zeds Dead, Lotus, Cashmere Cat, Shpongle, Ivy Lab, Paul Oakenfold and oh so many more. 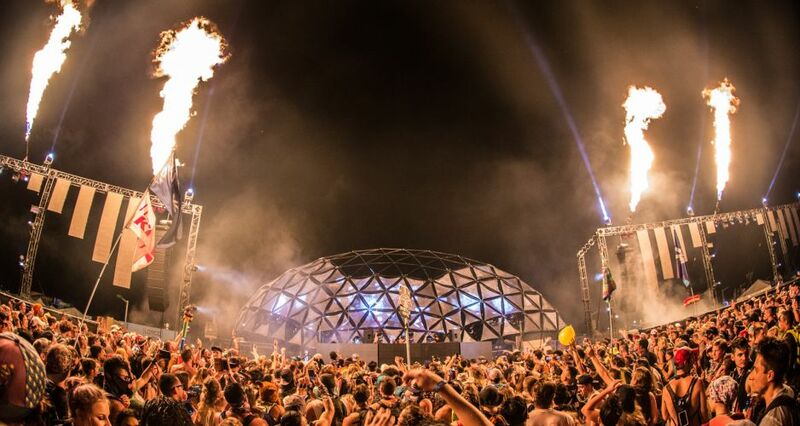 Imagine Festival curators pack the massive speedway with four stages so you never miss a beat. Plus, the Imaginarium will entice your senses and enlighten your soul. Beyond the music, there will be a multitude of workshops and experiences like circus acts, a splash pool, yoga, field games, and a silent disco so the party never ends. When it comes to Imagine Festival tickets, upgrade to VIP and get even more perks, don’t forget there is a Thursday pre-party and tickets are available for early arrival! If interested in staying on-site, camping passes are available, as well. September 21st through the 23rd is right around the corner, so make sure you’ve got your tickets as they’re almost sold out!